Dr. Bobak Salami received his medical degree at Tufts University. He then served his residency in Internal Medicine at the University of Massachusetts. He continued his medical training and completed his Cardiovascular Medicine fellowship at Harbor UCLA Medical Center. Dr. Salami specializes in Cardiovascular Disease. He is the director of the nuclear stress lab at SDH&V. 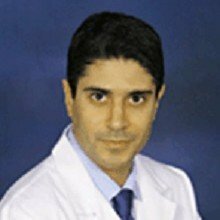 Dr. Salami is certified by the America Board of Internal Medicine in Cardiovascular Disease and also in Nuclear Cardiology. He is currently welcoming new patients.